Pears are not my favorite fruit to eat raw. For folks like me who don’t care for the texture, baking is the perfect way to break down the pears, and of course, the addition of all that sugar and dough certainly doesn’t hurt anything either. 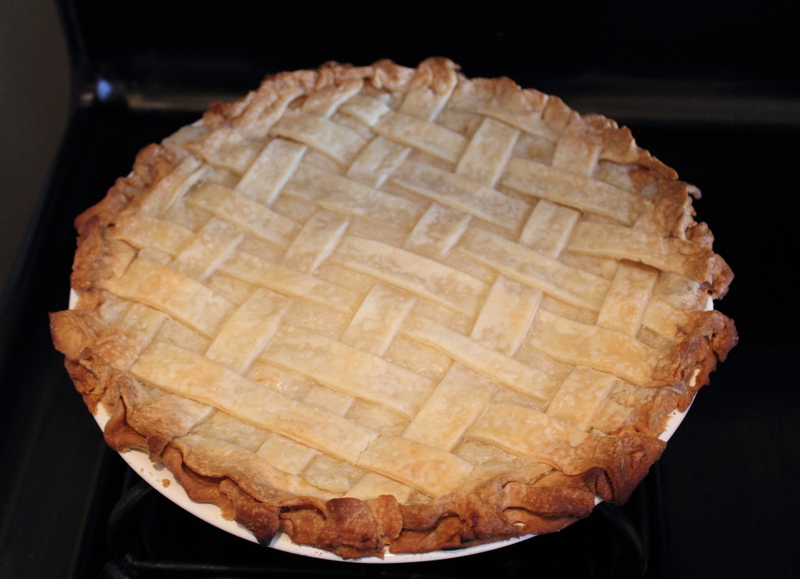 This pie recipe is really quick if you use a pre-made pie crust like I did, with all the flavor of the delicious Bartlett pears and not much of the weird texture. If you cut the pre-made crust to make a pretty lattice top like I did, it looks extra fancy! (Perfect for impressing all your Instagram followers.) Full instructions are below. 1. Pre-bake a 9-inch pie crust. 2. When crust has cooled, sprinkle 1 tablespoon of the sugar in the bottom of the crust. 3. Mix together remaining sugar and tapioca, then add pears, lemon juice, and sour cream and pour into the pie crust. 4. Sprinkle on cinnamon and ginger. 5. Cover with second crust, and if not using lattice shape, cut vent holes. 6. Bake at 425 Fahrenheit for 10 minutes, then lower temperature to 350 and cook 25-30 minutes. Gorgeous pie! Love the lattice work….. Thanks! It sure makes the store-bought crust look a lot nicer!